Is MCA student allowed in SAILl MT recruitment? 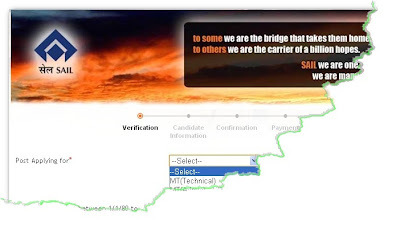 Is MCA student allowed in sail MT recruitment? What should i do to apply for Banking career being a Student of MCA? Details about government jobs in India for IT engineering students after B.Tech? What are the exams after B.Tech? Eligibility of TCS recruitment for MCA student? Re: Is MCA student allowed in SAILl MT recruitment? Actually, MCA candidates are not allowed in SAIL (MT)(MANAGEMENT TRAINEE). 1)MECHANICAL-->Mechanical/Production/Industrial Engg/Production & Industrial Engg/Thermal/Mechanical & Automation. 2)ELECTRICAL-->Electrical/Electrical & Electronics/Electrical,Instrumentation & Control/Power Systems & High Voltage/Power Electronics/Power Engineering. Qualifications must be from a recognized University/institute. Can i go for SAIl exam being a MCA qualified student? if yes how to prepare for the exam?